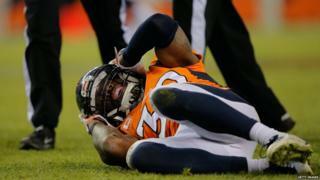 A judge has approved a plan worth $1bn (£665m) to compensate former American football players with head injuries. Multiple lawsuits filed against the National Football League (NFL) allege that it hid knowledge of concussion risks. The average individual payout would be $190,000, with younger men receiving awards between $1m and $5m. Players' lawyers say the money will be used to compensate families and for medical testing. The NFL expects 6,000 of its approximately 20,000 retired players to develop Alzheimer's disease or dementia in their lives. The deal could cost the league more than $1bn over 65 years.